The Hibiscus was beautiful. It was in the shade of a coconut tree and had a bright, vibrant colour. I had to catch the exact shade of red in the photo. And the focus and light had to be perfect. The photo was featured in Flickr Explore on 10 December. Please click here to view my photos in Flickr’s Explore pages. 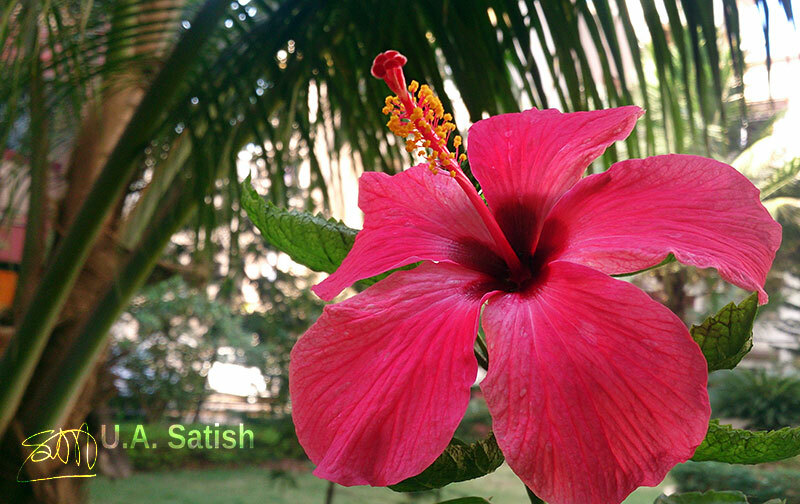 I came across the Hibiscus in Vasai, a suburb of Mumbai. Many parts of Vasai fall under coastal regulation zone and are out of bounds for development. I used my Sony Xperia ZR camera. It focuses really close and its small lens and sensor give more depth of field than a large camera. The big screen of Sony Xperia ZR is easier to see than the viewfinder of a camera. 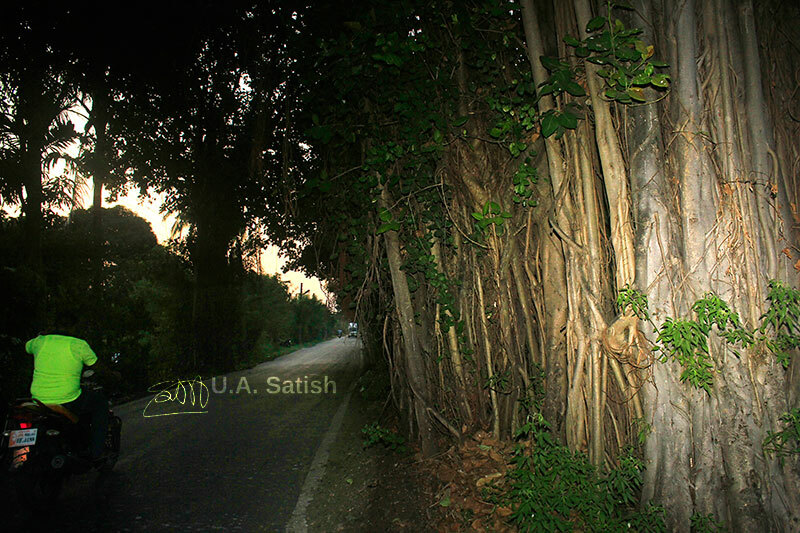 If you should wish to download my photos for any commercial or personal application, please contact me at ua.satish@uasatish.com. There was a nice warm glow in the sky. The colours were wonderful and subtle. There were low clouds which had taken on a pink colour from the light radiated by the sun. The waters in the fields were tinted by the sky. The photo was captured on the outskirts of Mumbai, in Vasai which has Bassein Creek to the north and Tungari Hills to the east. Many parts of Vasai fall under coastal regulation zone and are out of bounds for development. I used a narrow aperture of f/7.1. ISO speed was 200. An exposure time of 1/160 sec. was used. Focal length was 18 mm. Camera is Canon EOS 550D. If you should wish to download my photos for any commercial application, please contact me for a quote. You can mail me at ua.satish@uasatish.com. The old Banyan Tree made a canopy over the road. Standing under the tree, I wished to draw the eye towards the tree while dimming the background. This was easier said than done because sunlight had made the background rather bright. I got around the problem by using a flash in high-speed sync. The photo made it to Flickr Explore on 1 December 2015. 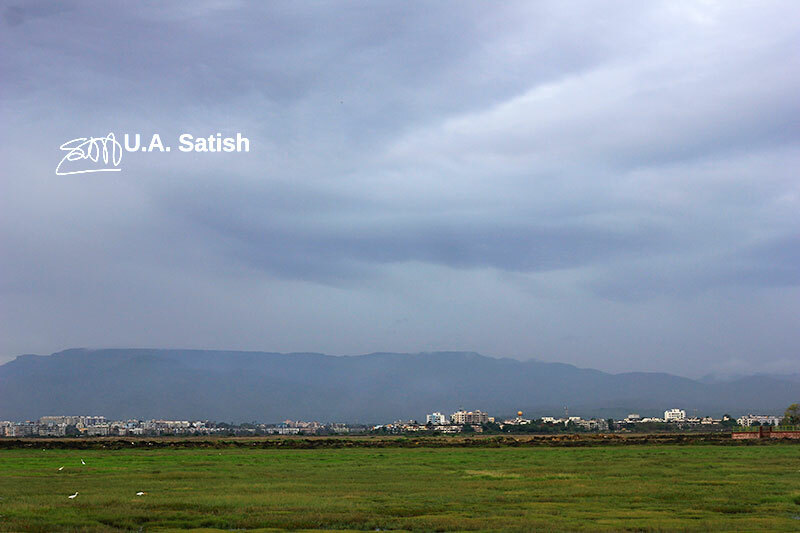 Location is on the Vasai-Naigaon road, near Naigaon Koliwada. There was a fair amount of vehicular traffic and I had to wait to get a clear shot. I used my Canon 430 EX II flash in High-Speed Sync. The shutter speed was 1/500 sec to dim the ambient light. The flash zoom was set to 105 mm and this helped me to get the light fall-off. Aperture was f/5.0. Camera was Canon EOS 550D. The creek looked amazing. The sun was setting. The cloudless sky was reflected on the creek. It had taken on a smooth silvered appearance. I came across the scene in Vasai, Maharashtra. There were few trees to be seen. The land was covered in tall green grass. The camera is Canon PowerShot S110. Aperture was f/8.0. ISO was selected as 80. Focal length was 5.2 mm. The scene gave a wonderful sense of space. There was the mountain in the far distance. Dark clouds covered the sky. A few buildings can be seen below the mountain. The birds in foreground catch the eye. 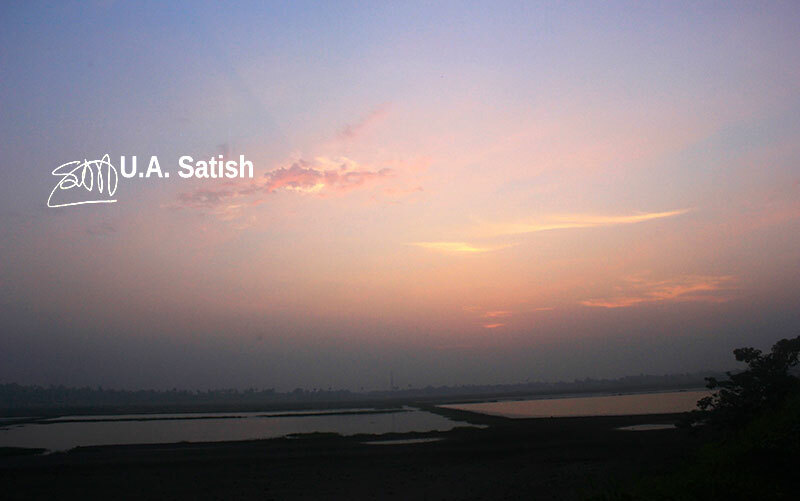 The location is Vasai near Mumbai. There are several abandoned salt fields in the area. Probably because of salt content in the soil, trees are seen few and far between. I used a Canon EF 50mm f/1.8 II prime lens. Aperture was f/7.1 and exposure time 1/400 sec. Camera is Canon EOS 550D.